Audi proudly brings to you a new and powerful SUV in he form of the SQ7. It also happens to be the fist S model in the Q7 line and the SUV comes packing some very impressive under the hood specifications. Let’s begin with the engine which is a 4.0-liter V8 TDI engine that generates around 435 bhp of power and a mighty impressive 663Nm of torque, mated to an eight-speed automatic and all-wheel drive. The SUV can charge from 0-100 km/h in 4.8 seconds with a top speed of 250 km/h. The SQ7 generates torque that is one of Volkswagen’s best so far, only falling short of the Bentley Mulsanne Speed and the new Bugatti Chiron. Not even the Lamborghini Aventador SV or Bentley Continental GT Speed can touch that figure. How the SQ7 is able to achieve this torque figure is due to two turbochargers and a third compressor that is electrically powered – an industry first. The SUV comes with a differential, a four-wheel steering system, and an electromechanical active body roll stabilization system that employs an electric motor and a three-stage planetary gearbox to keep the SUV level. All that power aside, the SUV also maintains an intense style. The sculpted Singleframe radiator grille, distinctively highlighted wheels and flared quattro-style blisters are all typical of Audi’s design language. Inside, you find a lot of space for comfort. The SQ7 TDI boasts elegant design solutions in the interior, including analogue instruments with gray faces and white needles, special welcome screens and S badges. 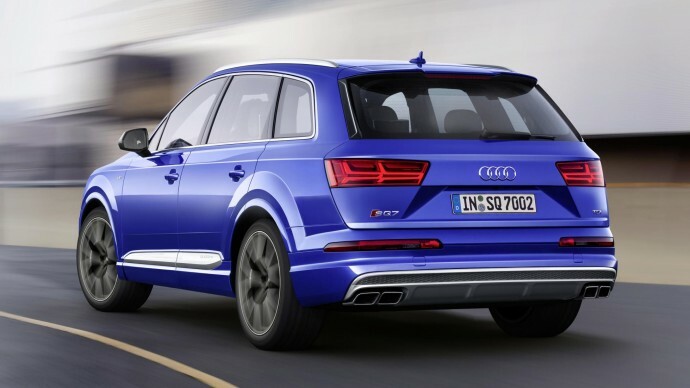 Orders for the SQ7 TDI begin in Spring. It will be offered in Germany for a base price of €89,900.